A very reasonable case can be made that the Boston Celtics were a Kyrie Irving away from winning the Eastern Conference last season and giving the Warriors a run for their money at the title. Up-and-coming stars Jayson Tatum and Jaylen Brown led a tough group of Celtics to a five game series loss in the ECF against the LeBron-led Cavs. With both Irving and Gordon Hayward set to return from injury this season and the King doing his thing out in LA, it is Boston’s conference to lose. On the sneaker side of things, Uncle Drew and the Swoosh have made a strong claim for the NBA’s number one signature shoe collection due in large part to the previously released “Cereal Pack” and iterations the likes of the Green Lobster Kyrie from the gang over at Concepts. While high profile drops the likes of those two are important, it is the GRs that will truly help move the most product. 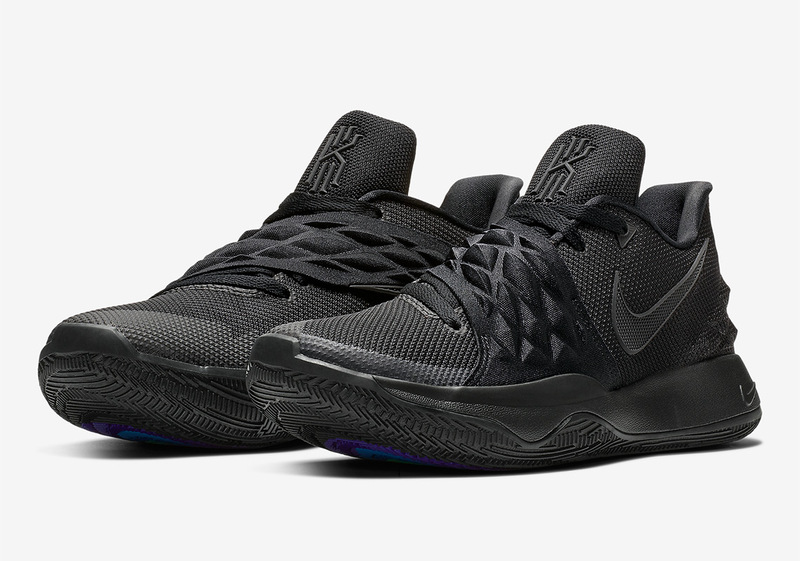 With that in mind, Nike is set to drop a Triple Black version of the flat earth truther’s Kyrie Low 1 silhouette at an incredibly cost-efficient $110 MSRP. Its only reprieve from an otherwise blacked out look comes on its outsole, by way of a a purple, green, and blue heat seeking graphic as a nod to Kyrie’s immense range and shooting ability. Fans looking to add this clean Kyrie Low 1 to their Fall hooping rotation can do so when they arrive at Nike.com and other global basketball retailers on October 5th.